Fender has once again surprised us with this brilliant and yet very affordable Stratocaster American guitar. Its features are numerous amongst which we immediately notice the body made of Alder wood and finished with urethane gloss. It also has a maple neck with perfectly positioned jumbo frets. The Tremolo arm is vintage-styled thus adding to the guitar not only a unique look but a great sound too. The scratch plate creates a great contrast to the candy apple red gloss with its white-pearl color. The guitar sounds impeccable and it is very easy to tune thus allowing you to play the tones you like most. It is lightweight and very comfortable to carry over the shoulder thus allowing for maximum comfort during playing regardless of the place – the sofa or the stage. We think that this guitar is simply great! This very solid and well-made instrument is comfortable to play as even though it has the solid build, it is still very light in weight. The Texas special pick-ups are much punchier and louder as compared to the standard Stratocasters. We recommend using the greasebucket tone circuit when adjusting your tones for a better playing performance. The tremolo arm is brilliant for vibrato. 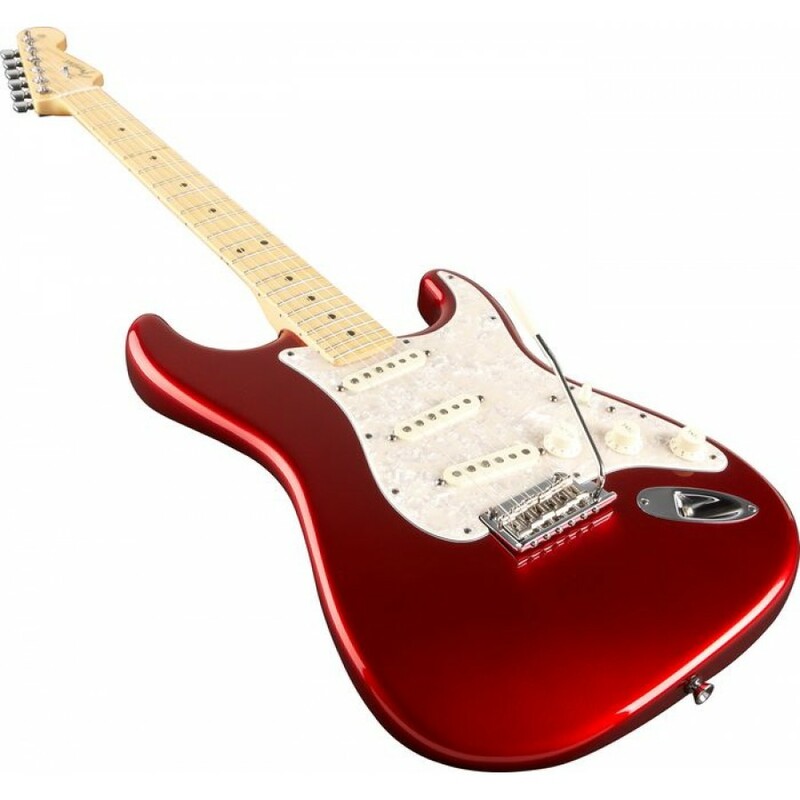 This Stratocaster is very easy to tune even without getting professional help. It is amazing for beginners and for refreshing the players’ memories before they move onto something more professional. We are truly in love with this guitar because it not only looks great thus giving you confidence when you play it but it is also so durable that it can last you for years. Fender has once again created an amazing product at a great price.